The OnePlus X, the OnePlus Mini, the OnePlus 3 - call it what you like, but it's the new member of the low-priced phone family, and it's taking the Chinese brand in a whole new direction. This is a phone that's all about style over substance, with some oddly low-power choices when it comes to the spec sheet, and some surprising twists when it comes to the design. The OnePlus X is all about the style of the phone, coming in onyx glass or fired ceramic. The screen rolls into the phone and the weight is right down, coming in as low as 136g for the glass version, or a little weightier for the more premium ceramic. The OnePlus 2 is a long way from being an ugly phone, but it's not quite got the same style of the OnePlus X. The screen is a flatter affair and the rear of the phone is interchangeable - which is cool if you're a fan of bamboo or Kevlar. It's a decent-looking phone, but the build quality is much higher in the X. The display on the OnePlus X is a much smaller affair than the OnePlus 2: it's five inches compared to the 5.5-incher on the older phone. However, rather than LCD it's OLED, which means richer colours and contrast ratio, and as it's smaller (but sticks with the 1080p resolution) it's sharper, 441ppi compared to 401. And by using OLED the battery life can be saved by only firing the parts of the screen that are needed, so when you get a notification it'll show up in grayscale - something the 2 simply can't do. Here's where things get dicey for the OnePlus X. It's inexplicably got the Qualcomm Snapdragon 801, which is a chipset from 2013. A quad-core affair, it's nowhere near the power of the 810 that's hidden inside the OnePlus 2. The newer phone 'only' has 3GB of RAM (although that's more than enough for most tasks) compared to the 4GB of the OnePlus 2, and that will likely mean it's a lot slower on the heavier tasks. In short, the X is a phone that's more about looks than performance - OnePlus is finding ways to save money, and going low on the CPU is the way to do it. The camera in the OnePlus X and 2 are both 13MP sensors, and while the new one is made by Samsung it's not in the same category of the OnePlus 2. The key here is low-light performance, with the f/2.2 of the X nowhere near the f/2.0 of the OnePlus 2, which also looks likely to have larger pixels too. The X does have a better front-facing camera though, if selfies are your thing. Here's where things match up a little: both phones are using OxygenOS, OnePlus' own overlay sitting on top of Android 5.1. That allows loads of little features like easier customisation of widgets and the like, and it's still very close to stock Android. There are some slight upgrades on the X, like the aforementioned duo-chrome notifications but this is more to do with the OLED display. There are a tonne of features on the OnePlus X that you might not find on the 2 - well, there's one big one that will keep the fans happy: a microSD slot. You can do the clever Flex thing with it, where you can use it as internal storage for apps and stuff, but at up to 128GB space there's a lot of media you can fling in there. For some reason OnePlus is going crazy with the fact there's an FM radio on the OnePlus X. Nobody cares, but hey, it's apparently 2009 and we're all listening to radio on our phones like our grandparents. The OnePlus 2 has a fingerprint sensor though, which is missing from the X and would help with security massively. The OnePlus 2 trounces the X in terms of battery size: the 2525mAh of the latter dwarfed by the 3300mAh power pack thrown into the older phone. Using that older processor might, possibly, lead to some battery savings thanks to being only needed to push four cores, but they're clocked to a much higher speed (2.6GHz compared to the 1.58GHz of the hardest-working of the octa-core in the OP2) so the savings might not be that high. Just don't be surprised when the battery tests show that the OnePlus 2 is miles better than the X in terms of battery life. The OnePlus X is at least a cheaper option: £199 / $249 / around AU$350 compared to the £239 / $329 / around AU$515 for the older (but better specified) phone. The price of the OnePlus X does rise with the use of ceramic materials, and you're stuck with only 16GB of internal storage where bumping up the cost of the OnePlus 2 at least gets you 64GB of memory. Both are still only available with an invite, whether that's by sticking your name on the reserve list, having a chum who has one, getting on social media or just waiting with a bag outside the OnePlus offices and hoping someone randomly throws one out the window. 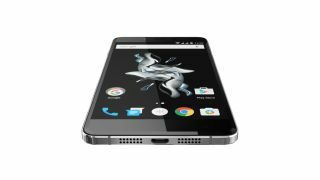 The OnePlus X goes on sale early November, with the ceramic version coming towards the end of the month. There's a very simple theme that keeps emerging here: the OnePlus X is a phone that's more about substance over style. It's a phone that uses words like 'onyx' and 'ceramic' when describing the exterior, where with the OnePlus 2 it seemed to be more of an afterthought. It almost beggars belief how old the chipset is in the OnePlus X, but at least that helps the brand bring the cost down to a really amazing level. At least there's a chance that the extre other features, like a nicer OLED screen and a decent slug of RAM, will help it zip along acceptably. The OnePlus 2 is a phone for the fans, those that want a phablet with a lot of power and don't want to spend a lot of money on it. Both are attractive in their own way, but you'll have to work out whether you want a pocketable and stylish phone or all the latest specs if you're thinking of picking up a OnePlus in 2015.